I’ve always thought it an unfortunate tragedy that brussels sprouts somehow became the vegetable everyone loves to hate. I don’t have any accurate study to cite, but I’d bet confidently that a survey of a few classrooms of elementary students across the country would reveal a majority stating brussels sprouts as their most hated food. And sadly, many of those kids never change their mind as they grow up. They continue thinking they hate brussels sprouts, but really I think this is only because they’ve never had brussels sprouts done right. All boiled vegetables are gross, no? Once you’ve tasted a salty, pan-fried brussels sprout with bacon, can you really ever go back? I’m sure there are some true brussels sprout haters out there who have actually given them a fair shot. But still, I’d even encourage them to reconsider. And for that reason I’m providing my most beloved brussels sprout recipes below. The momofuku recipe below will change your life. And the others will come close. And one more thing. Brussels sprouts inarguably have the best name of all vegetables. Named after a city in Belgium even though they weren’t even first cultivated there? Awesome. I make these without the puffed rice and they’re still amazing. Make sure you don’t put too much sauce on before serving or the sprouts will get soggy. Serve additional sauce on the side for dipping. Silly as it sounds now, this recipe opened my mind to the fact you don’t have to serve brussels sprouts whole or halved. They can be shaved. Or divided out into leaves! Crazy. 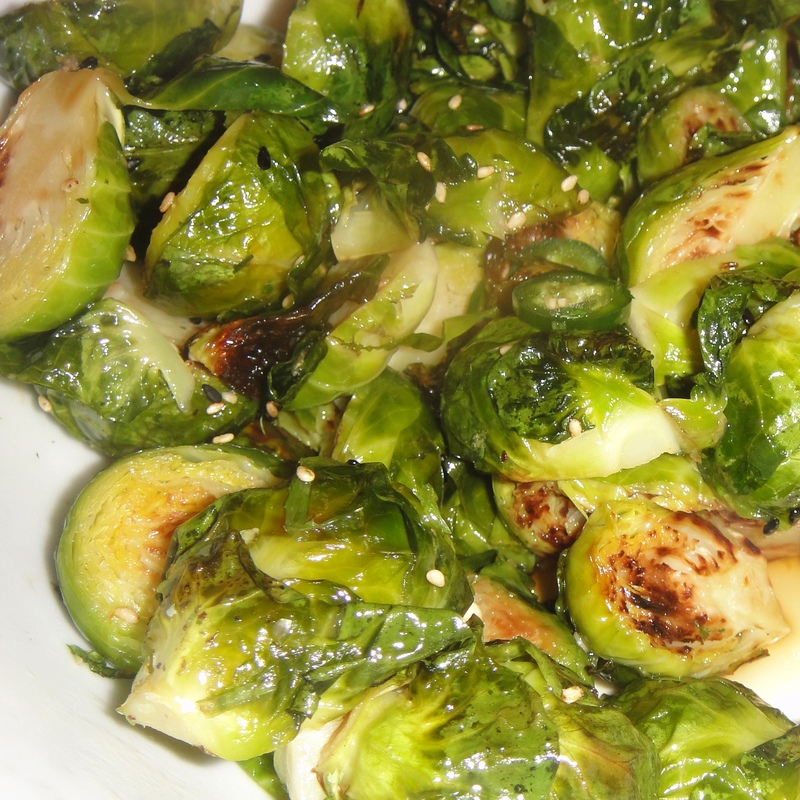 It’s also wonderful to recognize the sprouts are fully capable of being elevated to main dish status. These have been a real hit at Thanksgiving. The bread crumbs definitely add a heartiness that seems somewhat indulgent. A simple and delicious preparation. Olive oil, salt, and any cheese you feel like. Can’t go wrong with this one. Fall is officially here in Seattle. The mornings are chilly. Some rain has been falling. Pops of orange, yellow, and red can be seen amidst the evergreens throughout the city. Cravings for pumpkin pie abound. But just a few short weeks ago, we were still enjoying the delightful late summer that is so common in the Pacific Northwest. A late summer marked in my mind by sunny days and an abundance of Italian prune plums. Our neighbor’s tree was overflowing at an alarming rate, and they were kind enough to share the bounty with us. 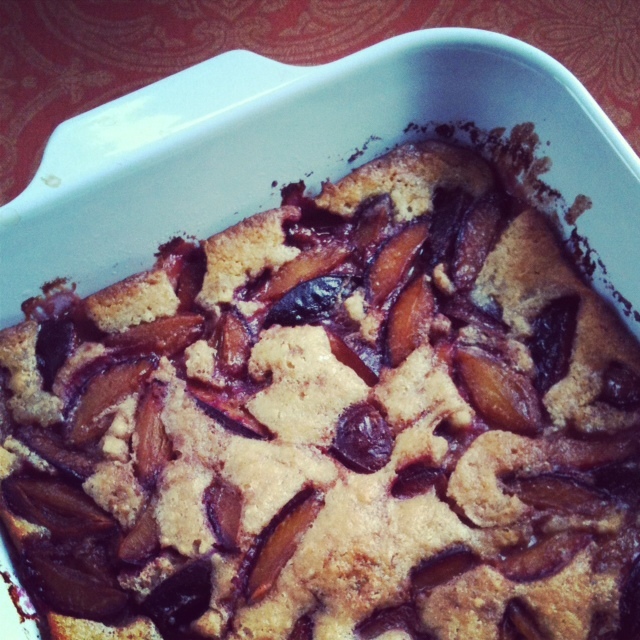 For a few weeks straight, I did nothing in the kitchen beside bake with plums. Cakes. Pies. Tarts. Crumbles. Muffins. I’d saved a few recipes in anticipation of the plum harvest, but ended up tweaking most of them to my liking. Usually this meant removing some sugar and butter to make it more reasonable that we were eating them for breakfast and dessert every day of the week. The recipes below were my two winners this year. So. Good. 1. 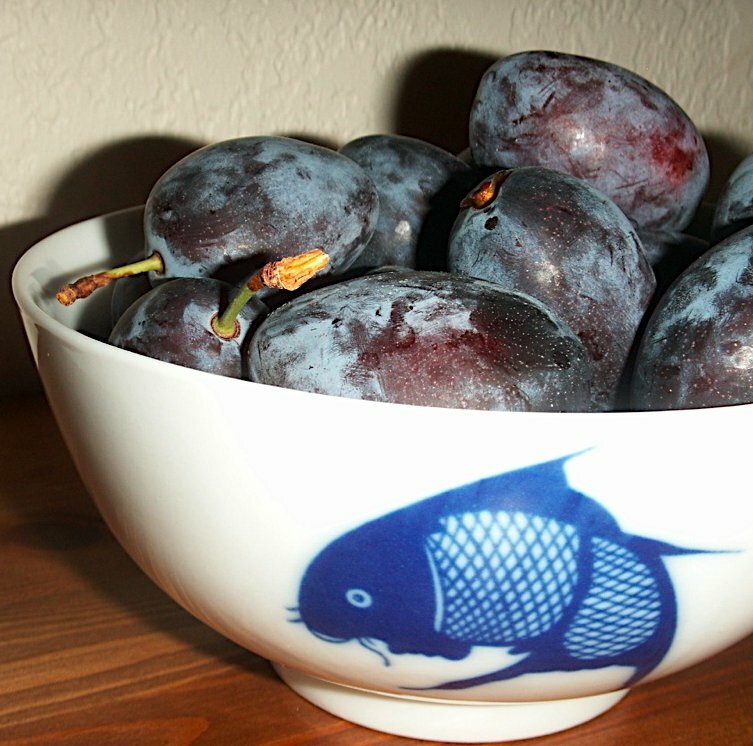 Cut each plum into 4-6 pieces and toss into a bowl. Add 1/4 cup of the sugar and the cinnamon, both gingers, and coriander. Stir the plums and then let them sit. Stir from time to time as you prepare the batter. 2. Put remaining 1/2 cup sugar, the flour, baking powder, and salt in another bowl. Whisk to blend and then add milk, vanilla, and amaretto. 3. Put the butter in a 9×12 inch glass or porcelain baking pan, and place in oven on centered rack. Set oven to 350 degrees. Once butter has melted (approximately 5 minutes) remove pan from oven. 4. Give the batter a light stir to smooth it out, and then pour it evenly over the hot butter. Scatter the plums over the batter and drizzle any remaining sugar syrup. 5. Bake for 50 to 55 minutes, until the top is golden and a thin knife comes out clean. Let cool at least 15 minutes. Delicious immediately, but keeps in the fridge for a few days. Adapted from The New Elegant But Easy Cookbook, by Marian Burros and Lois Levine. 1. Cream the butter and the sugar. Add the flour, baking powder, eggs, and salt and beat to mix well. Spoon the batter into an ungreased 9- or 10-inch springform pan. 2. Place the oven rack in the lower third of the oven. Preheat the oven to 350 degrees. 3. Cover the top with the plums, skin sides down. Mix the spices with 1 or 2 tablespoons of sugar and sprinkle over the top. 3. Bake for 40 to 50 minutes, until a cake tester inserted in the center comes out clean. Remove from the oven and let cool; refrigerate or freeze if desired. 4. To serve, let the torte return to room temperature and reheat at 300 degrees until warm, if desired.